Welcome to our September Newsletter – and a long one this time round. The temperatures stayed with us for July and our annual trip to the beach at Weston-Super-Mare. Luckily there was a pleasant breeze along the front and being just before the school holidays, it was not too busy. There is something special about the British seaside and so all the old favourites were enjoyed. We started with fish and chips and the Old Victorian Tea Rooms, right on the beach. They are always very kind to us and look after us so well. Lunch done, we moved off towards the pier with a few visiting the WSM Eye en-route for some fantastic views. A gentle wander along the pier led us to the Penny Arcade. It is amazing how many inveterate gamblers we have at The Priory. Some just couldn’t roll the coins quick enough. The only real challenge was the volume of the music, but after a few pots of 2p bits, we were able to find peace and quiet in the more refined Tiffany’s Tea Room. As though fish and chips weren’t enough, we all then indulged in a Cream Tea. The scones were enormous and we were introduced to a new “delight” of a TTK – toasted teacake and ketchup. Unsurprisingly, not many of us followed suit. A tiring but wonderful day and all we missed were the kiss-me-quick hats! Of course, a massive thank you and congratulations to everyone involved in the Garden Party. This year we decided to make the whole event a bit smaller as it was getting too busy for our residents. However, despite that, we raised £549 for the Wiltshire Air Ambulance which is fantastic – we will organise a visit to hand over the cheque. A few new stalls and a few old favourites – Queenie running the cakes, Doreen the raffle, Zoe the children’s games and Clare releasing Mark from the cream teas (and Judith! ), to burn the sausages. And of course, many thanks to Kieran for the music. Many staff and families made the day the success it was, so a big thank you all round. We hold regular meetings with our residents. Minutes of the meetings are posted around the home and these meetings are a great opportunity to discuss any items about the home. In addition to discussing home based issues, we also plan our future outings at this meeting. In our plans for activities and outings so far, you will see that we have some new ideas and of course, we are repeating some of the favourites. Everyone is welcome and the next residents’ meetings are on Friday 13th October (oops!) and Friday 8th December, at 11:15 for an hour. Our army of volunteers is slowly growing. Though much of the induction and training has taken place at The Priory, we have had to be fair and share the volunteers around other Homes in Chippenham. Chris Perkins has been visiting us regularly since before the summer and we are now able to welcome Danni who started at the beginning of August, to be followed closely, we hope, by Christopher and Shania in the next few weeks. All the volunteers are looking to spend one-to-one time with our residents, focussing more on those residents who are less involved in the usual activities within the Home. If you know of anyone who would like to join, please do speak with Lynne. In previous newsletters we have talked about The Priory “twinning” with Redlands Nursery in Chippenham. I am sure you have read about or seen programs on the value of mixing young children with older people. We were hoping to start this before the summer holidays, but it was not possible to fit into the children’s busy schedules. However, on Monday 2nd October, four 4-5 yr olds, with two teachers will be joining in with our KiddleyDivey workshop. It should be a lovely time for everyone and please do join us if you can. Some regular reminders for everyone please. We ask all visitors to sign in & out of The Priory. This is a very important part of our Fire Policy as in the event of a fire, it is the only way we have of knowing who is in the building, other than staff and residents. Please take a moment to sign the book in the main entrance Hall when you visit. Could we ask that all families and residents help us to keep clothing named. As I am sure everyone appreciates, without names it is very easy for staff to sometimes mix up our residents’ clothing. Whilst we try to learn whose skirt or shirt is whose, we are not perfect and the odd clue does help it to arrive in the right wardrobe! And finally, a new one – Parking. We know that parking can some times be tight, especially at weekends. Please do try and park without obstructing others, but if you do have to park behind someone, please do tell a member of staff so that they know which car is yours. Secondly, could ALL DRIVERS please keep the tarmac area clear in front of the house. This is for drop-off and collection only. Though you may only be popping in for a few minutes, another resident may be waiting to either leave or arrive. Many thanks. We are delighted to welcome John Kitley, Joyce Stayton and Honor Wright to The Priory. We hope that you, your family and friends enjoy your time with us. Please do let us know if there is anything we can do to help and of course, feel free to join in with any of the events at the Home. Also, a very warm welcome to Linda, who has just joined the care team to replace Nelda, who very sadly will be leaving us. Nelda has been with us for many years and will be greatly missed by everyone, especially for her infectious laugh. Though Nelda is leaving us, she is doing it for all the right reasons as her family are moving to Portsmouth. On a sad note, we say farewell to Laura Gee who passed away in July. We must also pass on some other very sad news, that of the death of Kate Law, part of our night care team. Kate passed away suddenly, just a few weeks ago, at home with her family. It was very unexpected and was a terrible shock to us all. Our thoughts and prayers are with both families and their friends. Future Events. As usual, some more dates for your diaries. We will keep you informed of any changes or new plans. Families, friends & staff are more than welcome to join us on our trips out. Not only is it a lovely way to spend time with your family and other residents, it is a great help to Lynne and ourselves, providing extra hands to help steady or assist. These dates are all in addition to the usual activities such as Communion from St Paul’s and the myriad of other events that Lynne and Zoe organise on a weekly and monthly basis. Ideas are always welcome – especially from some of our newer residents and their families. If there are any specific hobbies you would like to continue (or take up for the first time!) please do let us know. At the same time, if you know of any group, speaker, band or individual who might visit or entertain us at The Priory, once again, please do pass us their details. As you will see below we are collecting a wonderful array of musicians and entertainers and even keep-fitters! A new entertainer, Julie who is a professional singer, entertained us in July and will be back on 21st September at 2pm. Tracey – Musika – 29th September, 27th October, 24th November, 22nd December. Alyson – KiddleyDivey – 4th September, 2nd October, 6th November, 4th December. Rachel – G-Fit – 11th September, 9th October, 13th November, 11th December. Kieran – 14th September, 12th October, 14th November, 19th December. Paul – Ukulele Piddle – 16th November. James Hogg – 20th September, 26th October, 20th November, 20th December. Phill – Creative Minds (Arts & Crafts) – 31st August, 16th October. David & Family – Music from the 40’s onwards – 23rd September in the evening. David has very kindly donated his fee to the Wiltshire Air Ambulance. Edinburgh Woolen Mill Clothes Show – 8th September at 2:30pm. Our Outings. These take place usually on a monthly basis. Families and friends are always welcome and any help you can give us is gratefully received. If you would like to join us, please do speak with Lynne. The Priory Tenpin Bowling Challenge – Tuesday 26th September at the Hollywood Bowl, Cribbs Causeway. The Priory Challenge Cup is there for the winning! Please join us if you can – to bowl or to cheer us on. We “bowl off” at 2pm. 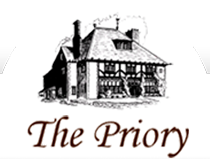 Afternoon Tea at The Priory – Following on from the Tearoom at Weston-Super-Mare, The Priory will be bringing out the posh crockery, polishing the cutlery and offering tea and finger bites for all on Tuesday 10th October. Tuesday 5th December: Whitehall Garden Centre for coffee and a wander around the Christmas decorations. This will be followed up by the start of the Christmas decorations going up! We plan to get the trees and larger decorations up to allow the residents to complete the trees and other decorations over the coming days. Christmas Carol Concert and Party – Friday 15th December. Please come and join the residents and staff for our Christmas Carol Concert and Party. The Home welcomes you for a drink from 6:30pm, with the carols starting at 7:00. This is followed by our Christmas buffet party and drinks for the whole family. Please do join us for a very special evening for all of our residents at The Priory. Christmas Day Lunch. I know we are a long way off but as we near the day, please do let us know your plans for Christmas Lunch. I know many residents will be visiting families, but at the same time, many will be staying with us for the festivities and some families may like to join us at The Priory. Please let Lynne know as you finalise your plans. There will be other Christmas events over the festive period and we will post notices around the Home nearer the time. As always, please keep an eye on the noticeboards around the home – we will let you know of any changes, new events or timings in plenty of time.